Inflammation is the natural response of the immune system to injuries, infections and irritation. It is a sign of the white blood cells and other chemicals fighting against bacteria, viruses and other foreign substances. In some cases, inflammation is a sign of abnormal immune reaction against specific tissues of the body.Autoimmune diseases triggered by abnormal inflammatory response damage the body tissues targeted by the immune cells. The process involved in triggering chronic inflammation also increases the risk of cardiovascular diseases and insulin resistance diabetes.Inflammatory conditions might be treated with anti-inflammatory foods. By modulating the activities of the immune system, the anti-inflammatory foods could reduce inflammation. 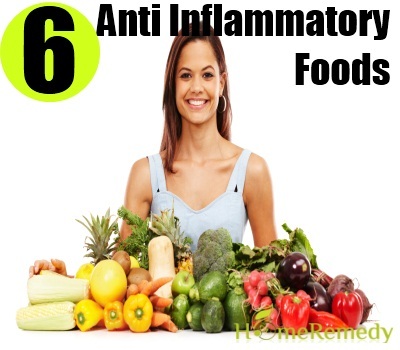 People suffering from chronic inflammatory conditions should include anti-inflammatory foods in their daily diet. Japanese and Native Greenland Eskimos have the lowest rate of inflammatory disorders in the world. They are also the world’s highest consumers of fish and seafood. Studies suggest a direct association between high dietary intake of omega-3 fats EPA and DHA and low incidence of inflammatory disorders. The omega-3 fatty acids reduce inflammation by inhibiting production of pro-inflammatory proteins. Chronic low-grade inflammation elevates the level of interleukin 1, a type of inflammatory protein, which increases the risk of developing coronary artery disease, cancer and depression and accelerates the aging process. Studies suggest that production of interleukin 1 could be suppressed with omega-3 fatty acids. 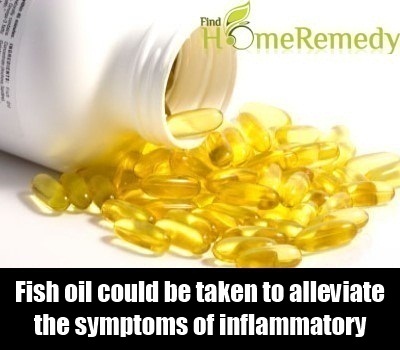 Fish oil could be taken to alleviate the symptoms of inflammatory bowel disease, asthma, psoriasis and arthritis. However, the positive effect of omega-3 fats in countering inflammation might be countered by excess intake of sucrose. This is especially noticeable in obese people on a high sugar and fat diet. 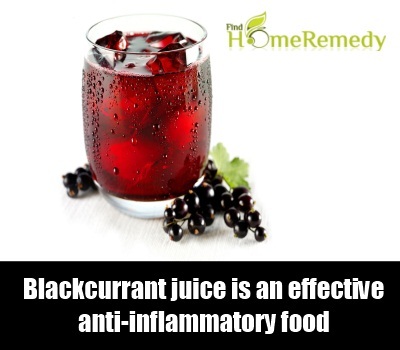 Blackcurrant juice is an effective anti-inflammatory food. It is a rich source of anti-inflammatory alphalinolenic acid (ALA) and gammalinolenic acid (GLA). ALA, which is converted into EPA in the human body, and GLA reduce inflammation by suppressing abnormal activities of inflammatory chemicals. Oil extracted from blackcurrant seed is recommended in folk medicines for reducing joint inflammation in rheumatoid arthritis patients. Inflammatory disorders of the gut could be reversed by consuming yogurt. 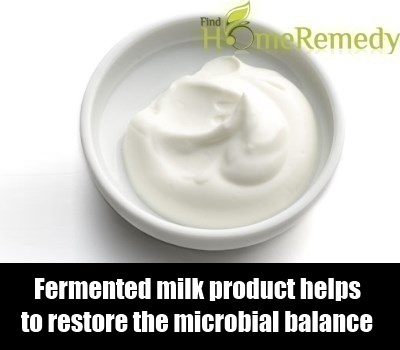 The Lactobacillus bacteria present in the fermented milk product helps to restore the microbial balance in the digestive tract, thereby correcting abnormalities in the digestive tract. Studies suggest that the beneficial bacteria present in the probiotic food product could aid degradation of the pro-inflammatory substances associated with inflammatory bowel diseases. 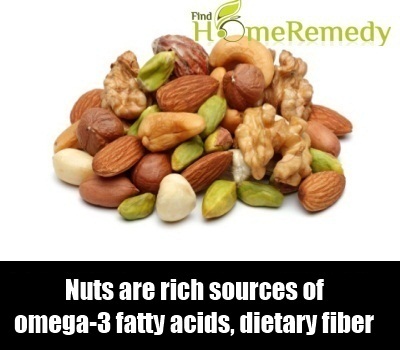 Nuts are rich sources of omega-3 fatty acids, dietary fiber, antioxidant vitamins, magnesium and L-arginine. These nutrients could reduce the concentration of pro-inflammatory markers. Curcuminoids, the active constituents in turmeric, are responsible for the anti-inflammatory property of turmeric. Numerous studies have proved the effectiveness of this traditional Ayurvedic herb in treating inflammatory conditions. 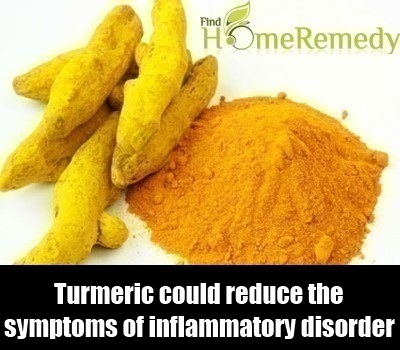 By regulating the activities of enzymes and proteins involved in the inflammation process, turmeric could reduce the symptoms of inflammatory disorders and autoimmune diseases. 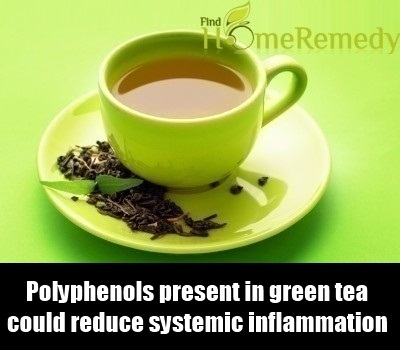 Polyphenols present in green tea could reduce systemic inflammation. Regular consumption of 500 to 700mg of polyphenols helps to reduce the inflammation markers associated with chronic diseases.